All our servers are 100% fully managed, and designed to take your online business to the next level. 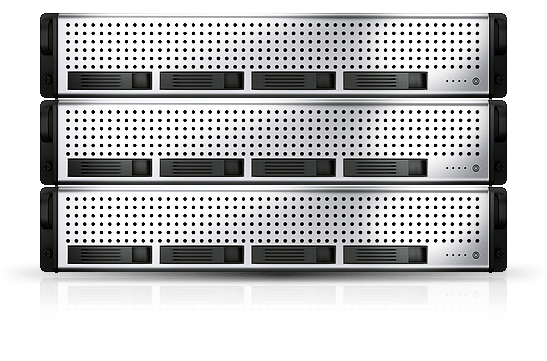 Our extensive range includes great value entry-level servers, a high-capacity storage server and, thanks to the latest Intel processors, servers with increased performance. With an HP or DELL quality server in a certified Datacenter + our Service Outsourcing included, a technical team accompanies you throughout the year. Arm your business with a dedicated and secure server, from € 149 / month. All servers are carefully prepared and delivered within 24 hours. For informations about the network and datacenter, please visit this page : here. Your server is managed by our fantastic support team. Don’t worry about update, upgrade, transfert, backup etc..
All our servers are constantly updated, so your web team can use the latest technology. We only use reliable servers from Dell and HP with high-quality Intel processors. Web hosting from data centres we own and manage. On-site engineers operate 24/7 at our data centres. Web hosting you can trust. We’ll look after your web hosting, so you can focus on your business. All our server data is automatically backed up, daily. Your content distributed around the world so it’s closer to your visitors (speeding up your site).Protect your website from a range of online threats from spammers to SQL injection to DDOS. No matter how you pay, there are no contracts, set-up fees, or nasty tie-ins, and you can cancel at any time. Fulled managed include the management of your server, the installation of updates by a specialized System Administrator, the management of attacks, security and backup throughout the year, without extra cost!